Silahkanmenghubungi kami, untuk solusi dan harga yang terbaik. Cisco TelePresence MX300 G2 and MX200 G2 make it easy to put high‑definition video collaboration within reach for everyone at your organization. They deliver ready-to-use simplicity and high quality performance at value pricing so you can make decisions faster and be more productive and innovative. Cisco TelePresence MX300 G2 and MX200 G2 are value products within the MX Series of collaboration room endpoints. They feature a sleek, streamlined industrial design that blends aesthetics, functionality and ease of use at a great value (Figure 1). New features such as dual display and an embedded four-way MultiSite conferencing option deliver more power and flexibility. 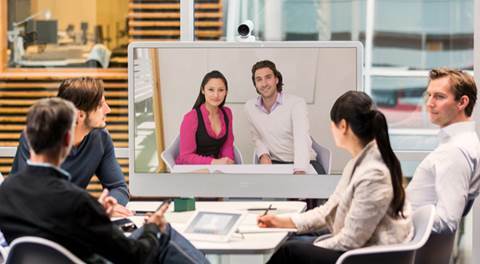 A new Cisco TelePresence Touch 10 user interface offers a larger screen size and a user-friendly experience. Rich 1080p60 high-definition (HD) video and a high-end speaker system optimized for voice encourage people to interact as naturally as if they were in the same room. It’s a great way to enable your extended teams to work together whenever and wherever they want. Cisco TelePresence MX300 G2 and MX200 G2 systems are as easy to install as a television, and can be set up in about 10 minutes. They’re priced for large-scale deployment, so you can quickly and easily transform any meeting space into a telepresence-enabled team room. The MX300 G2 with a 55-inch screen is ideal for medium size rooms. The MX200 G2 has a 42-inch screen that makes it ideal for small-to-medium rooms as it has a wide field of view for tight spaces. Both products are easy to use and affordable enough to make video collaboration possible throughout your organization. Cisco TelePresence MX300 G2 and MX200 G2 are part of a complete collaboration ecosystem that offers high-quality, easy-to-use telepresence experiences that you have come to expect from Cisco, together with rapid global service and price-performance that make broad deployment easier and more affordable than ever. Whether you are just getting started with video communications or are planning to video-enable your entire organization, the MX300 G2 and MX200 G2 can meet your needs. ● Installs in minutes: The MX300 G2 and MX200 G2 are as easy to install as a TV, with a one-piece unit plus install configuration (floor stand, wheel base, and VESA wall mount. MX200 G2 also has a table-stand option). ● Setup is simple: The MX300 G2 self-configures with Cisco® Unified Communications Manager (UCM), Cisco TelePresence Video Communication Server (VCS), or Cisco WebEx® Telepresence provisioning. Just authenticate your endpoint to the network to complete the setup. ● Offers flexible camera features: Cisco TelePresence PrecisionHD Camera with pan, tilt, and zoom helps ensure optimal framing and video clarity. 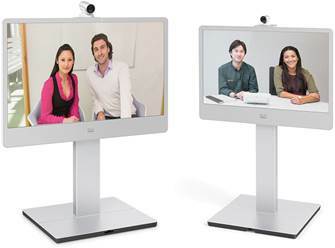 Its dedicated presets provide flexibility and easy viewing for any type of meeting. ● Provides touch control: A 10-inch Cisco TelePresence Touch interface offers simple, intuitive control. Easy “one‑ button-to-push” (OBTP) calling integrates with common calendaring programs. ● Offers crisp, clear video: High-quality 55-inch or 42-inch displays deliver video resolutions of up to 1080p60 to let you bring the Cisco TelePresence experience to any team meeting room or corner office. ● Provides high-fidelity stereo sound: Front speakers provide superior, optimized audio, and receive spatial audio from a Cisco TelePresence Server. ● Allows you to meet with anyone, anywhere: The standards-based MX300 G2 and MX200 G2 lets you collaborate with anyone regardless of system – from PC video to immersive telepresence, to a meeting room around the globe. ● Offers ability to connect and share: Collaborate naturally with 1080p content sharing with a touch of your finger. ● Works the way you want: Search for your contacts in directories; create and store your own favorites; or manually dial out to other Cisco Unified Communications devices. You can connect through the network or through firewalls to any device (video or voice) or protocol. ● Share multimedia and presentations at the touch of a button. ● The dual-display feature allows another screen to be added for content sharing. ● High-definition content sharing up to 1080p30 resolution is possible. ● You can start a meeting with the OBTP feature. ● The systems offers optimal definition up to 1080p60. ● You can make H.323/Session Initiation Protocol (SIP) calls up to 6 Mbps. ● Built-in individually transcoded multipoint conferencing lets you add three additional participants. ● Provisioning and self-configuration are easy with Cisco UCM, Cisco TelePresence VCS, or Cisco WebEx Telepresence. ● The MX300 G2 and MX200 G2 take advantage of the Cisco TelePresence Total Solution approach, including Cisco TelePresence recording and streaming, and firewall traversal services. ● The systems are natively supported by Cisco UCM Version 8.6 or later. ● Floor stand: 59.8 x 50.3 x 26.4 in. ● Wall mount: 37.3 x 50.3 x 7.9 in. ● Wheel base: 63.2 x 50.3 x 29.7 in. ● Floor stand: 55 x 39.2 x 23.7 in. ● Table stand: 30.7 x 39.2 x 10.2 in. ● Wall-mount: 26.4 x 39.2 x 5.7 in. ● Wheel base: 58.3 x 995 x 711 in. ● Main unit: 39.17 x 29.25 x 5.28 in. ● Floor stand: 39.17 x 55 x 23.7 in. ● Table stand: 39.17 x 30.47 x 10.2 in. ● Wall mount: 39.17 x 29.25 x 5.79 in. ● Wheel base: 39.17 x 58.27 x 27.99 in.